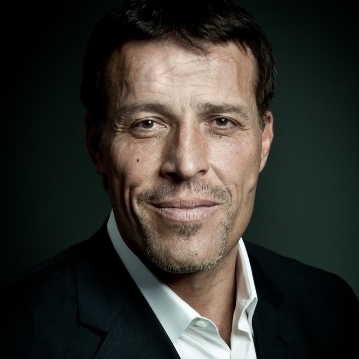 Tony Robbins is an American life coach, author, entrepreneur and expert in leadership psychology who has empowered people through his live seminars, audio & video training programs. His underlying message is that we all have the ability to make a positive impact on the world and it’s up to us to overcome our fears to reach that potential. For more than four decades, Robbins has helped high-performing professionals reach their full potential, working with CEOs, heads of state, Olympic athletes, billionaires, and top entertainers. The Tony Robbins books are, among others, Unshakeable, Unlimited Power and MONEY: Master the Game. As a philanthropist, his Anthony Robbins Foundation works with the homeless, elderly and inner-city youth.